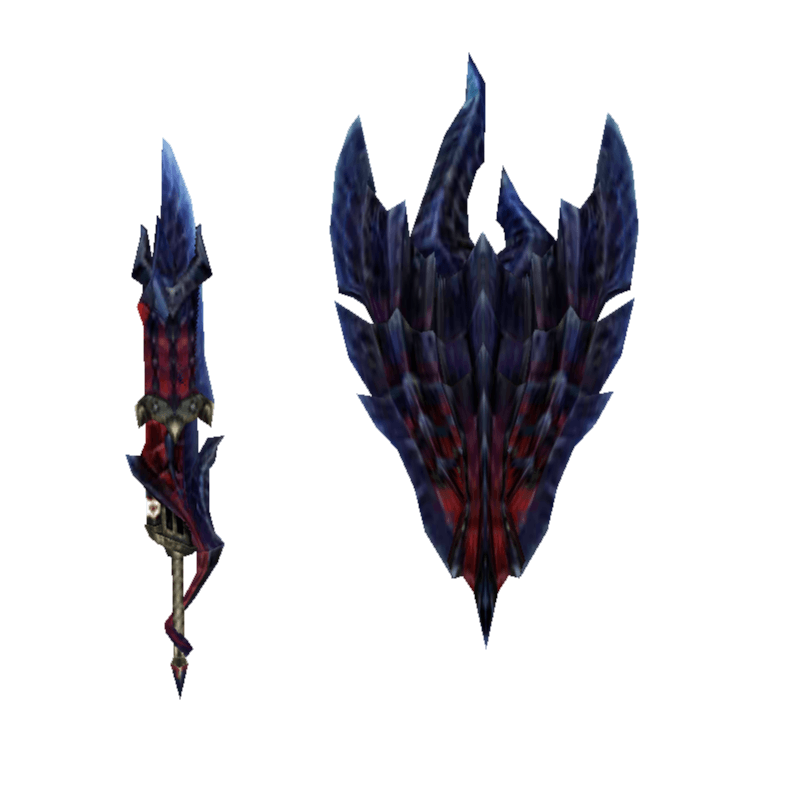 A Charge Blade that combines the flames of a Glavenus as its shield, and the tail as its sword. / The Scorching Demander's final form. It attacks with the force of hellfire and brimstone.